Making a gift for a friend or relative’s baby can be a thoroughly enjoyable experience – and we love knitting patterns for babies. Not only will you be able to present the tot with a unique toy or outfit, you’ll also be able to put your creative skills to the test. Getting creative at home affords you the chance to block out a few hours from your busy schedule to do something relaxing. We’ve rounded up the best baby knitting patterns that are available to snap up right now. 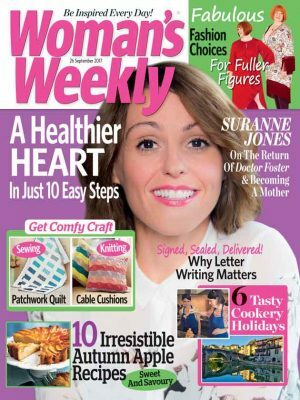 And if you’re keen to get creative with any of our suggestions below, it’s simple to download the pdf or give the Woman’s Weekly Shop a call on 0800 024 1212. Just quote the product code of the knitting pattern you’d like to purchase. Lines are open 10am-4pm on weekdays and we are closed on bank holidays. 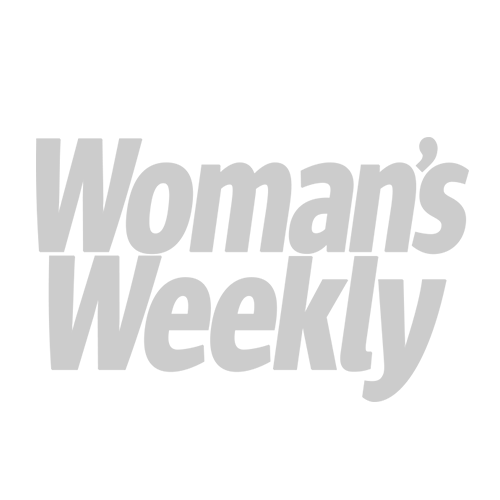 Finally, once your order has been placed we will print out your pattern and send it to you in the post. 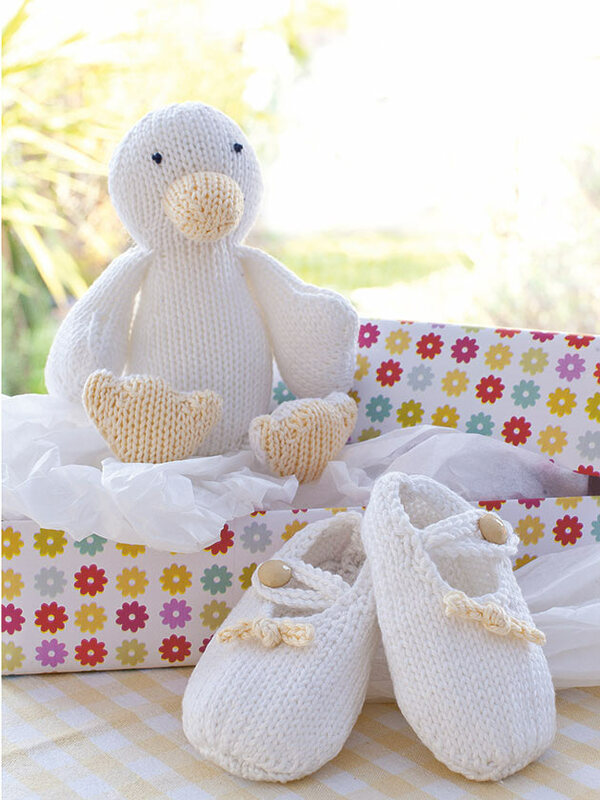 How sweet is this bundle made up of a duckling and dinky slip-on shoes complete with a bow motif? A truly gorgeous set for any baby girl. Want to knit something that will never go out of fashion? Look no further than this traditional blanket with sculpted edges. With teeny knitted clothes hanging from delicate pegs on a string washing line, this handmade card is certain to make proud parents smile. Furthermore, you’ll be able to demonstrate your papercraft skills too. 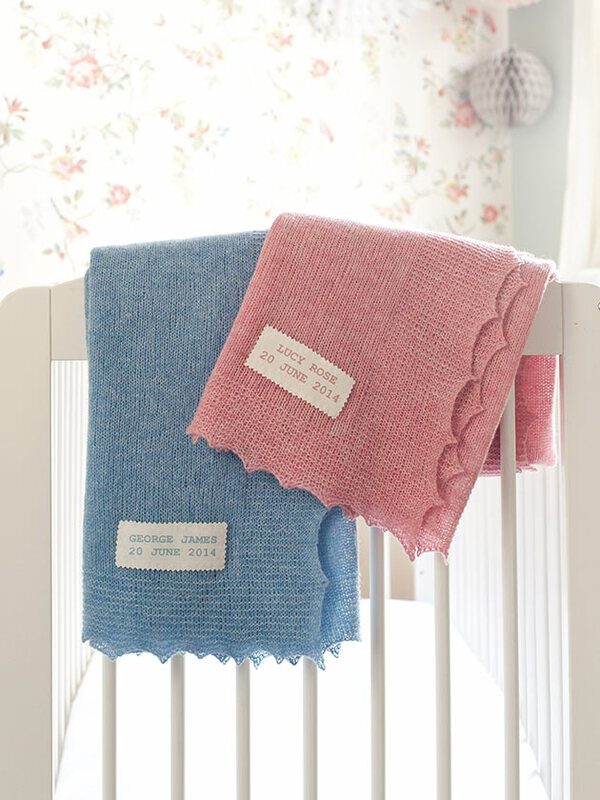 Whether you choose to use pink yarn for a girl or a shade of blue for a boy, this loveable bear and miniature blanket is just the right size for tiny hands to grip. This button-up and beanie duo is very stylish. Most of all, it’s another great example of the lovely knitting patterns for babies we have on offer. 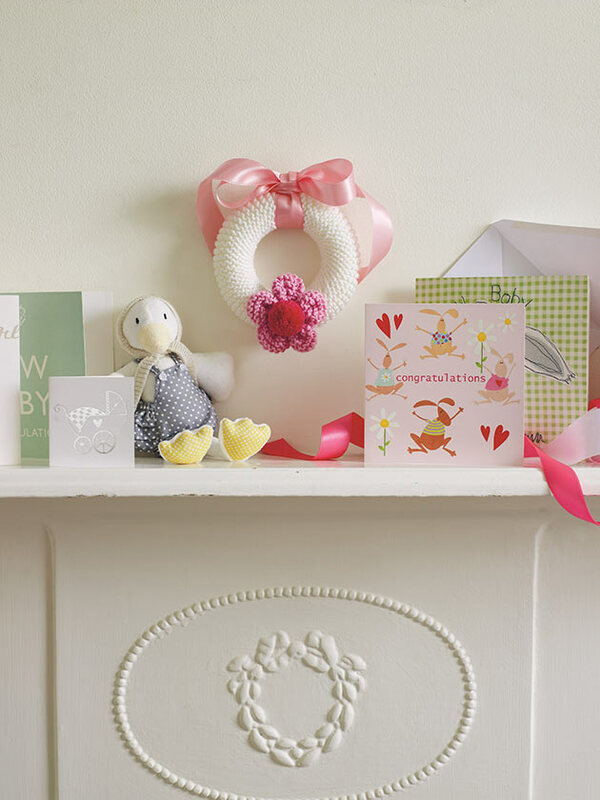 A charming keepsake to hang on the nursery wall. In addition, these knitted animal hanger covers are so sweet with their soft farmyard faces.